Table Tennis stormed its way into Great Neck on Sunday, March 11, as more than 100 students representing 22 different schools participated in the Third Annual Great Neck North High School (GNNHS) Table Tennis Tournament. 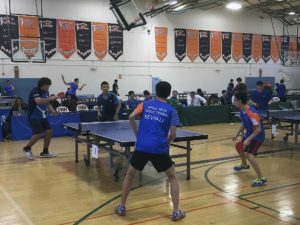 This year’s tournament has tripled in size since its inception, and the number of schools participating has doubled. The GNNHS gymnasium was transformed into a table tennis stadium with 16 tables. Pop music played as students from second to 12th grade competed in the friendly competition. Thomas Hu, the official referee who ran the tournament, was responsible for the logistics and organizing of the matches. 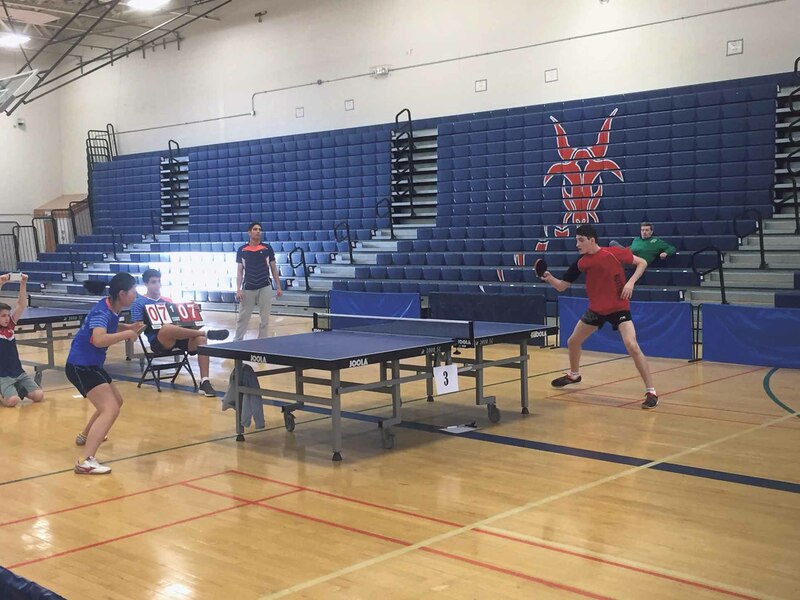 Eamonn Flood, North High athletic director; Amy Ford and Thomas Hahn, North High Table Tennis Club advisers; and parent volunteers all came together to make the event successful. 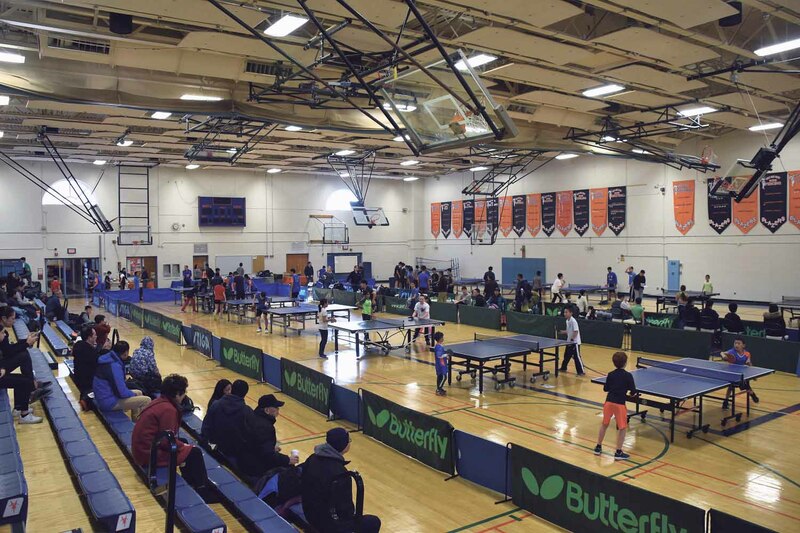 Seasoned players were surprised that the arena looked “so professional.” North High Principal Daniel Holtzman, Assistant Principal Dr. Daniel Kraus and Great Neck Athletic Director David Zawatson were all present to support the event and the students. 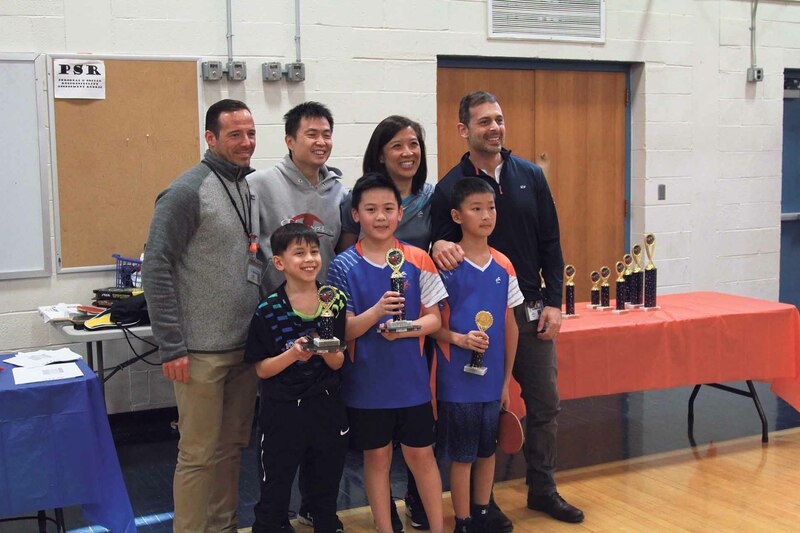 The 9 a.m.-to-5 p.m. day started with the Elementary School Division and the Team Division competitions. The elementary school players were from E.M. Baker, Lakeville, Saddle Rock, Jericho, Searingtown and PS 267 on Manhattan’s Upper East Side. 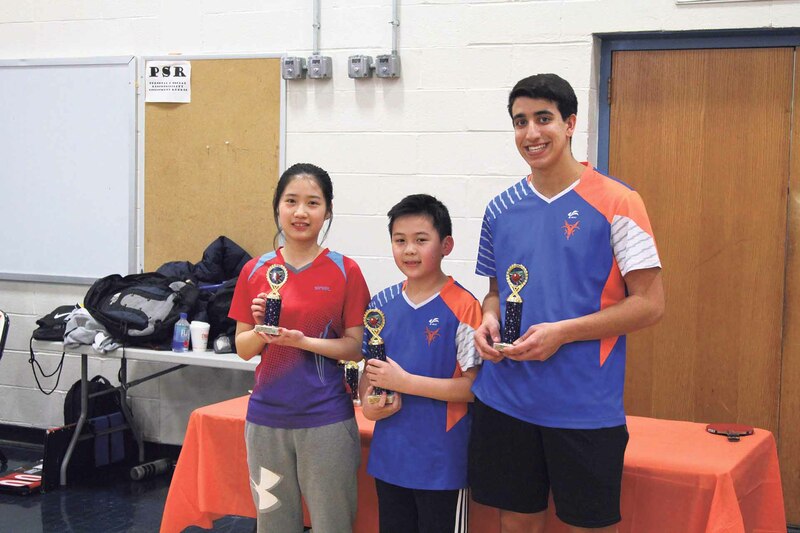 The event utilized the round-robin format, where the best of three 11-point games determined the winner of the match. 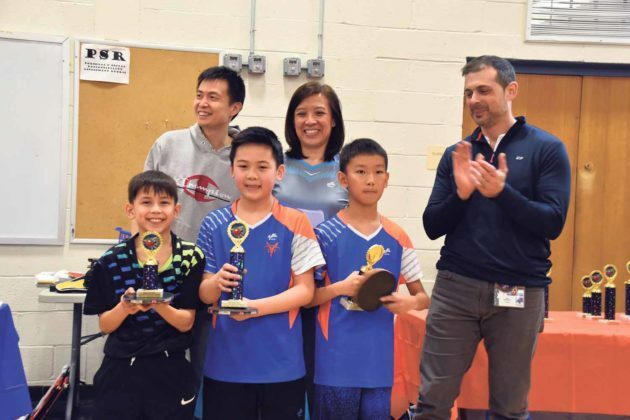 All three trophies in the Elementary Division went to fourth graders with Kayden Li of E.M. Baker winning first place, Richard Zhang of Lakeville receiving second and Botond Acosta from Lakeville taking third. All three students currently train at the Great Neck Table Tennis Recreation Program, which is headed by world-renowned table tennis player and coach Fei Ming Tong, multiple times each week. 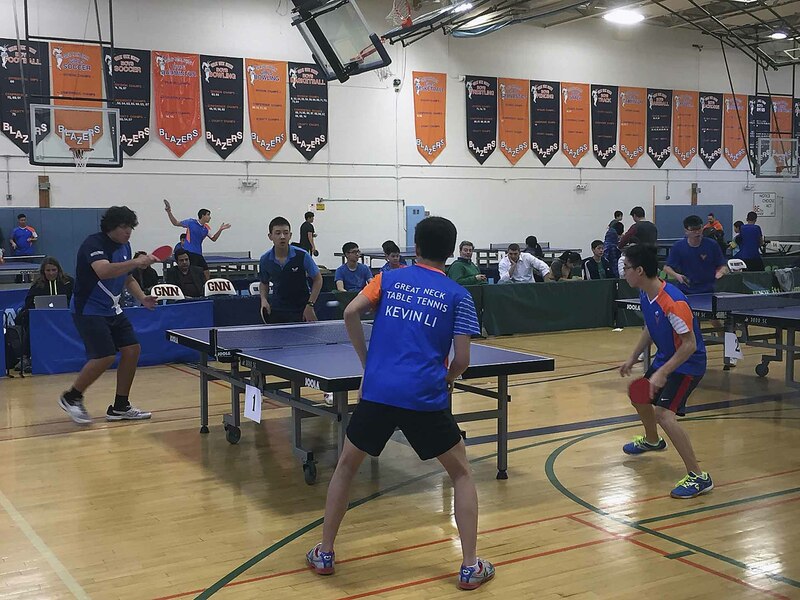 Twelve middle and high school teams were in fierce competition for hours. 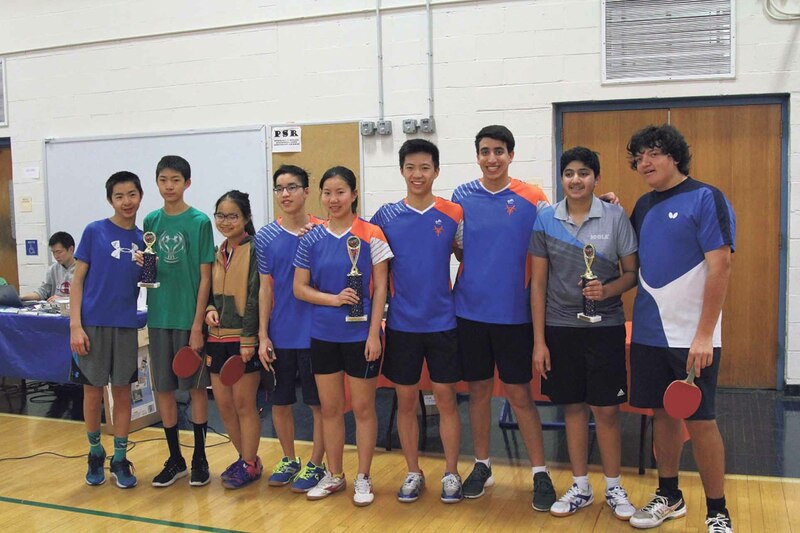 The team format consisted of two single matches, one doubles match and two singles matches. 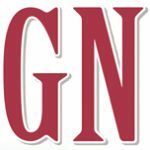 GNNHS supported three teams. Other high school participants were Great Neck South, Roslyn, Herricks and St. Mary’s. 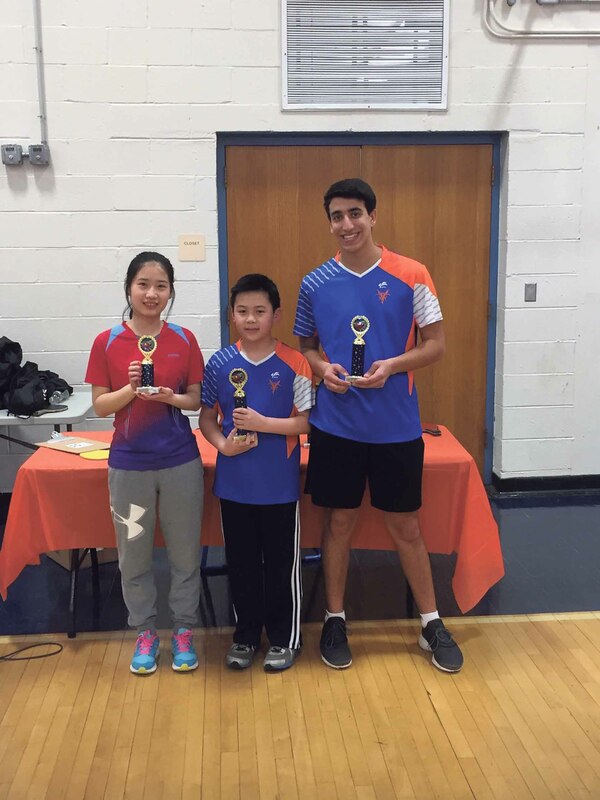 Middle school teams included Great Neck North, Great Neck South, Roslyn and Manhasset. 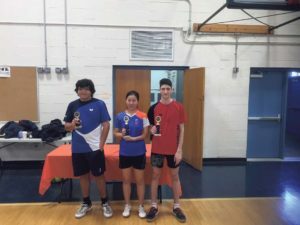 Manhasset Middle placed third, Roslyn High placed second and North High held the number one spot. Li hopes that the sport will continue to grow, though he will truly miss playing with everyone as he will be graduating in the spring. 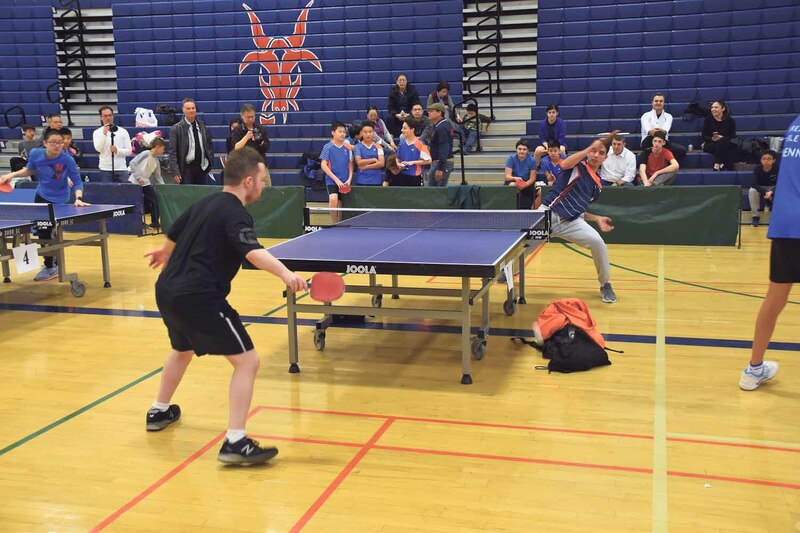 The excitement continued as two table tennis professionals played an exhibition match. 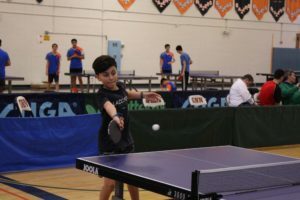 Tahl Liebowitz, a Para-Olympic U.S. Gold Medalist, and Ahmed El-Mallah, the Egyptian National Champion, demonstrated what professional table tennis looks like. 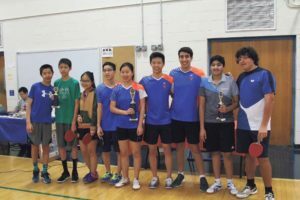 Parents and students alike were in awe as they were busy videotaping the match and asking for photo opportunities with the celebrities. 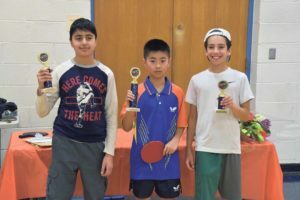 The Secondary School event began at noon, when 70 students were divided into Novice, Intermediate and Advanced Divisions. 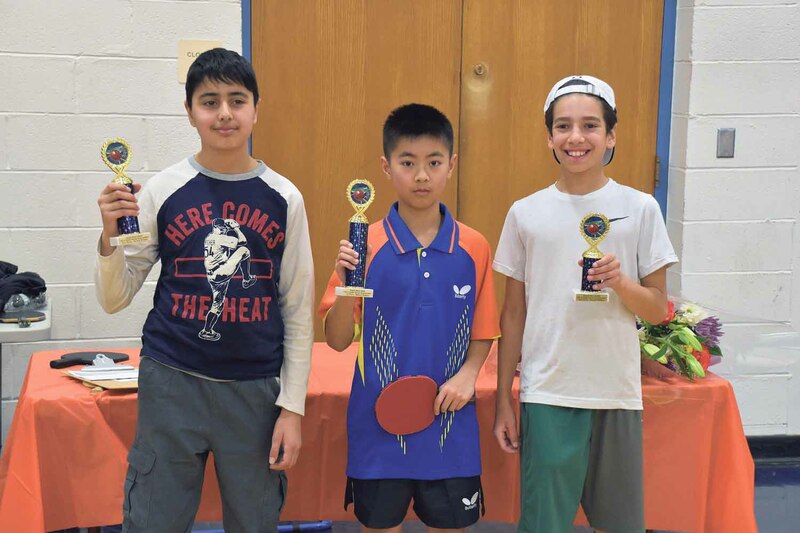 In the Novice Division, Luke Goodman, a seventh grader from South Middle, came in third; Michael Avezbadalov, a seventh grader from Ryan Middle School in Fresh Meadows came in second; and Nicholas Kui, also a seventh grader from South Middle took first place. Under the Intermediate Division, Rose Zhang, a 10th grader at St. Mary’s High, won third place; Marc Zalta, a 12th grader at North High, came in second place; and Kayden Li, a fourth grader at E.M. Baker, took the first-place spot. The toughest competition came in the Advanced Division. 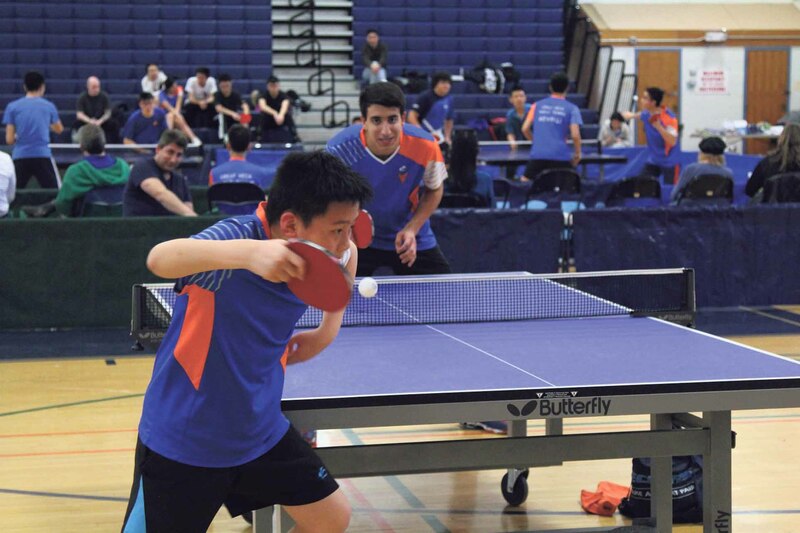 The players were exhausted, having played all day in the team events. The remaining crowds all gathered around the last few players, watching intensely, with cheering squads rooting for their own school teammates. Sammy Feinstein, a ninth grader from Roslyn High, placed third; Marco Mizrahi, an 11th grader at Syosset High, placed second; and Kelly Liang, a ninth grader at Great Neck North High clinched the first place-trophy. Jerry Mintz, an avid table tennis player and director of the Alternative Education Resource Organization, praised the tournament. With the first victory under its belt, the North High Table Tennis Team will not stop practicing. 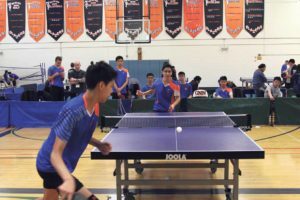 The team is gearing up for the next step, the chance to compete with other non-Public Schools Athletic League schools under the newly formed GNYHSTTL.